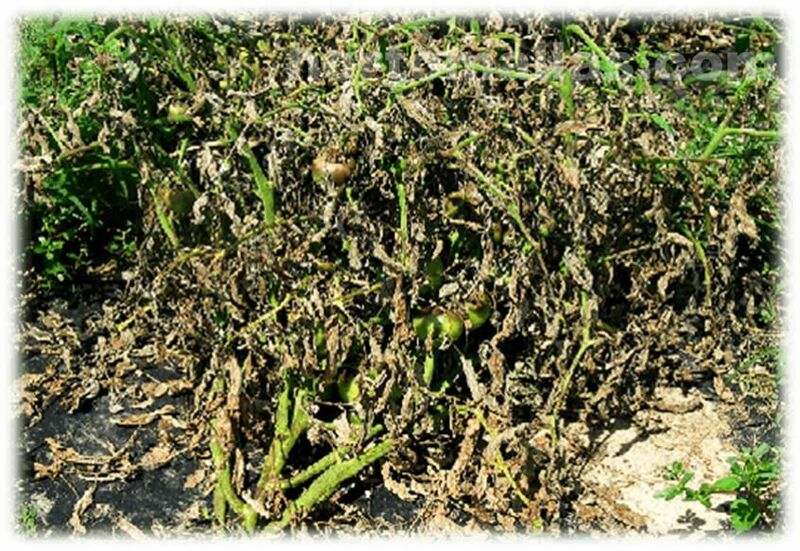 Mechanical stress from wind action and its effects on crops. 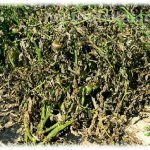 How to prevent wind damage and crop mechanical stress. 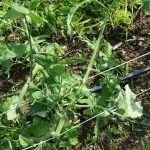 Wind damages may be prevented if we tutor crops like cucurbits and solanaceous giving the proper trellis support to plants decreasing mechanical stress. But what is wind? Wind is an air stream produced in the atmosphere by natural causes” which can be catastrophic as hurricanes, gales, cyclones and tornadoes. 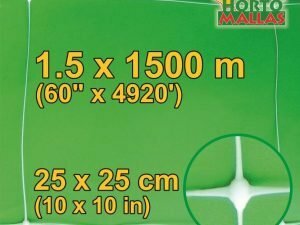 These weather events´ effects on plants may decrease foliar temperature, producing a decrease on vapor steam pressure on the external layer of the leaf, affecting the plants´ photosynthetic action. 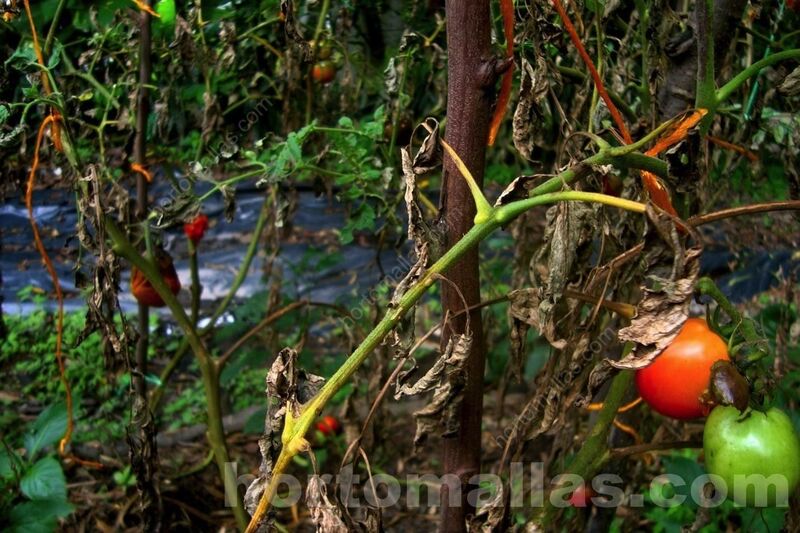 Mechanical stress effect causes plants to loose their support due to movement or parts of it by intense winds, also reflected the effect on physiology like transpiration, photosintesis, pollen transportation, and species propagation. 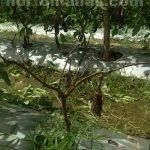 This is why it is recommended to take preventive measures using a double walled vegetable support system of netting, one layer or wall on each side of the plant along the furrows. 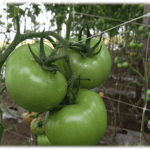 Once the plant is secured in between a double net, winds will not be as harmful to the crop, as the mechanical stress on vegetative tissues will not be as severe as when a plant is impacted by wind directly. Due to climate change we face nowadays and weather effects that affect ecosystems, so we must keep crops safe in protected fields in agriculture. As mentioned before, wind effect is related to its intensity and duration since crops exposed to it suffer mechanical stress in different ways depending plants variety and susceptibility. Wind action starts first of all on the seeds that are laid on the surface or not buried deep enough, all over the soil, causing growth delays and plants development, that may or not harm the plant and cause mechanical stress such as branch breaking, flowers, leafs or even fruits falling before time damaging not only the plant but compromising expected crop yields. Wind does not only affect plant mechanically but also in a hydric way, affecting and determining available water reserves depending on soil exposure depending on crop selection. 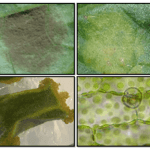 As we can see in the images provided, harmful wind action on the leafs produces direct damage to the foliar surface of the plant, leaving permanent damage on the leaf which manifests as brownish injuries and depressions due to epidermic tissue breaking and tearing. Young leafs will be susceptible to damages and strong wind will slow the natural speed of plant growth . 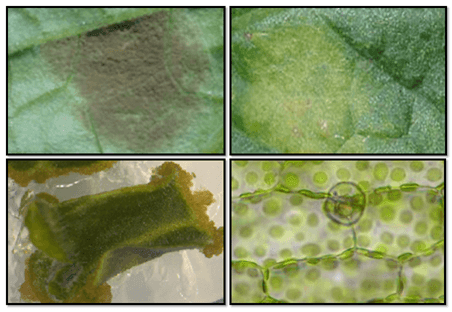 On a microscopical study (Thompson,1974,Mac Kerron, 1976; Wilson 1980) it was observed that after the wind´s mechanical stress on a leaf as seen in a microscope in the vegetal development laboratory, it was noticed that the tearing of epidermic cells with leafs with smoothed appearance and tearing on epicuticular cell structures is one of the main causes that develops leaf necrosis followed by desiccation and vegetal death. This chain of events blocks nutrient transportation to the plant, which causes higher energetic depletion as the plant resists alive by obtaining reserves from its roots rather than from photosynthetic activity which should produce regeneration and recovery for survival. 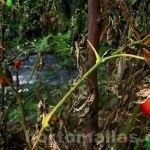 Once the plant absorbs energy from its nutrients reserves and energy consumption is higher than its ability to produce it, the plant will go in shock and go through vegetal cellular death and die. This damage is irreversible and causes the farmer big crop losses having to spend and sow again. Another effect not least important is the effect on fruits because of waves of violent winds which are harmful and fruits bruised are of a lower commercial value due to wounds occasioned by branches, stems or even mature leafs; fruit wounds may be restored by scar tissues which develops as a protective layer for the wind friction even of lower intensity on tender fruits; this scar tissue is the created by suberose tissue on the fruit´s epidermis, this protective scar tissue avoids more fruit damages as a bruised fruit, vulnerable to friction wounds, will be easily attacked by opportunistic pathogens and spores dispersed through winds. These pathogens propagate easily without any control transported thousands of kilometers away by the wind, causing the spreading of several diseases. 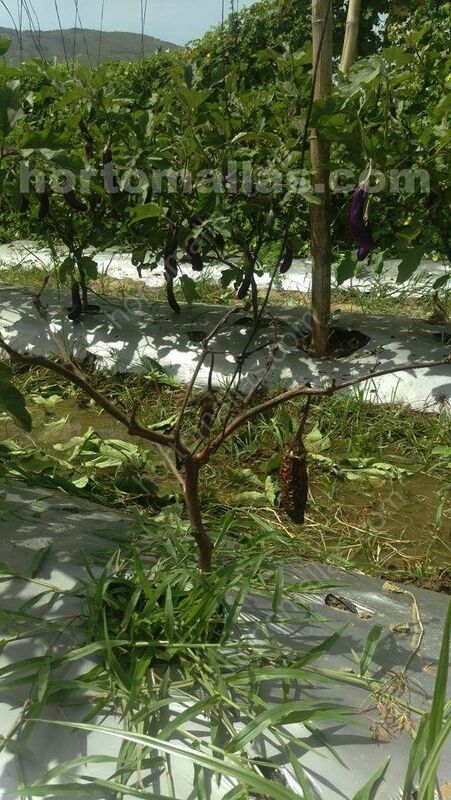 Waves of violent winds damage eggplant fruit loosing its commercial value, as a natural pruning. Trellising net as a remedy against mechanical stress caused by the wind. 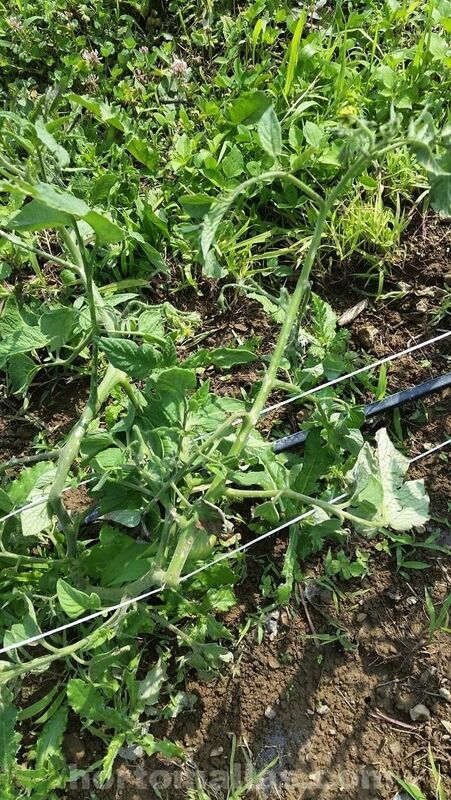 This is why as a preventive method against crops mechanical stress is to lean the plant on a trellis on its development to protect it from environment. 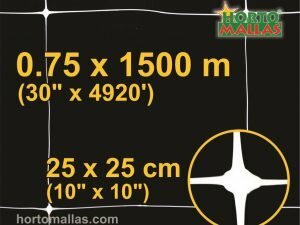 Tutoring plant support (for solanaceas family and cucurbitaceas) as chili pepper, zucchini, melon, cucumber, tomato, eggplant among others, may install HORTOMALLAS netting. If the crops have a netting support on which to lean against and grow properly, avoiding fruits and leafs to be damaged, bruised and stressed, tutoring will facilitate crops to have adequate light exposure and better air flow that reduce pathogens, since the stem support assure the plant survival and a successful crop. Good tutoring protects plants from wind damages. 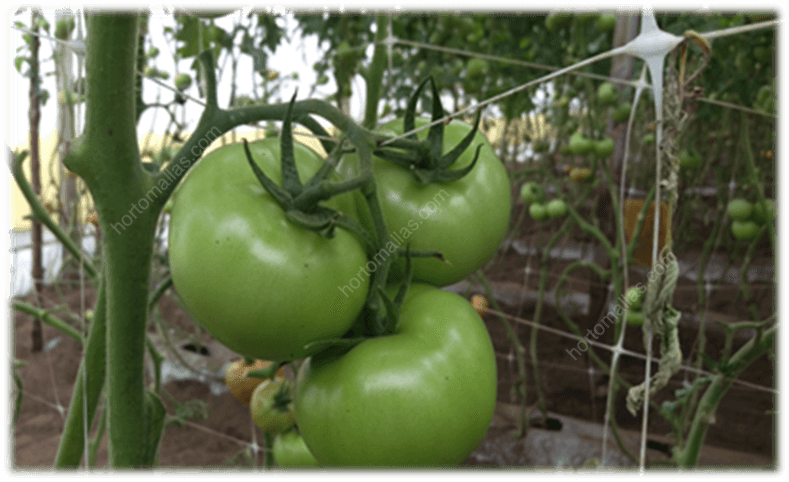 Tutoring plants does not only provides support for vegetables but also ensures homogeneous fruit maturation, facilitating plant caring, reducing pathogenic issues and diseases, and it also protects passively the plant from wind gusts, as the plant may lean on the net and not fall to the ground. 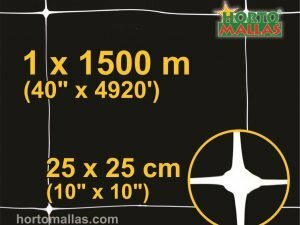 It is to be mentioned that same damaging stress effects caused by winds are caused also by workers during trimming and and manual tutoring stages, this is why HORTOMALLAS suggests the plants to grow freely between a double trellis netting system to get passive tutoring so the plant tends to lean itself above the net.